‘Food for thought’ as they say…..
You can support Kris by signing and circulating the following Petition …. 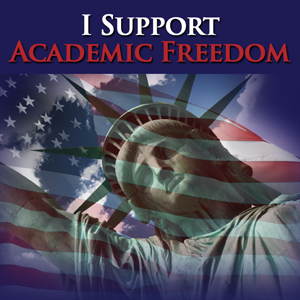 do your part to help restore Academic Freedom to the ‘Land of the Free’! Also see the following report from Salon News …. An adjunct political science professor was fired Wednesday by Brooklyn College following complaints by a student and a local politician about his pro-Palestinian political views. The college maintains the instructor, graduate student Kristofer Petersen-Overton, was let go because he did not have proper credentials to teach a master’s level course on Middle East politics. But there’s evidence that other graduate students with the same level of experience as Petersen-Overton have had no trouble teaching advanced courses in the department both in the past and the present. And now a group of Brooklyn College professors are blasting the administration for undermining academic freedom. Petersen-Overton, a political science student at the CUNY Graduate Center in New York, was looking for a course to teach in the spring, and he heard about an opening at Brooklyn College, which is part of the CUNY [City University of New York] system. Petersen-Overton had a B.A. in political science from San Diego State and a masters in development from a university in Denmark. He has published several articles about Israel and the Palestinians in academic journals and books. He also previously worked at the Palestinian Center for Human Rights, a Gaza NGO, in 2007-08. He started his studies at CUNY in 2009. He got the part-time adjunct professor’s job at Brooklyn College to teach Middle East politics, a master’s level course that is regularly offered in the political science department. That was in late December. The acting chair of the department, who had hired him, asked Petersen-Overton to send him a syllabus to circulate to prospective students. One student, whose identity is not known, did not like the books in the syllabus. The student complained to the department and also contacted a blogger and Brooklyn College alum, Bruce Kesler. He attacked Petersen-Overton in a Jan. 19. post titled “Gaza Defender Hired To Teach Middle East At Brooklyn College.” Kesler criticized Petersen-Overton for being “preoccupied with the Palestinian narrative,” for describing Zionism as a “philosophy of separation,” and for having published articles on the website Electronic Intifada. It was also on Monday that Petersen-Overton signed a contract with Brooklyn College to formally accept the adjunct position. On Tuesday, he got a call from a local Jewish newspaper to ask for comment on Hikind’s charges. On Wednesday, the chair of the political science department called Petersen-Overton and informed him that his contract had been terminated, even though he had not even begun to teach the class. Thompson also notes that the provost had been looking into the matter since several days before Hikind’s letter. The assemblyman’s complaint had nothing to do with the decision, Thompson says. But here’s where Brooklyn College’s explanation does not hold up well to scrutiny. According to a professor of political science and another graduate student, there are plenty of other adjunct professors teaching advanced courses who have the same credentials as Petersen-Overton. Patricia Stapleton is a CUNY political science doctoral student who has herself taught several master’s level courses at Brooklyn College in the past few years. Asked about other graduate student adjuncts who had the same credentials as Petersen-Overton but were not fired, Thompson responded: “If that is indeed the case, under the leadership of this president and this provost, it is not going tolerated in the future.” He declined to say whether the provost will actively seek out other such cases. Mark Ungar is the political science professor who, when he was acting department chair last month, hired Petersen-Overton. He says in an email that “many adjuncts have not yet attained their degrees. If they have not, we weigh their other credentials as well.” Petersen-Overton’s on-the-ground human rights work in the Middle East was taken into account when he was hired. Ungar and eleven other members of the department objected to the Provost William Tramontano’s decision to fire Petersen-Overton. “His decision to reject our appointment undermines academic freedom and departmental governance,” Ungar says. These articles are helpful articles because they crystallize the issues for American citizens. A graduate student who writes what he believes is the truth and the response from a movement which has shown itself to run completely counter to American values and the constitution. These issues are being revealed from various sources on the internet and intentionally misled or distorted by our mainstream media. Guess which group wants to shut down the internet? Over the last two decades there has been a steady attack on free speech. What the heck is “Hate Speech” it is a stealth attack on free speech. Why can you not carry a sign protesting our puppet presidents when the puppet is present? The SS says this is a “threat” to our puppet. Now schools of learning are banning speech of all sorts. Elaborate plans are being made to shut down our last means of free mass media the internet. Who decides? Why our puppet president of course. Folks when they shut down the net we shut down the country. OK!